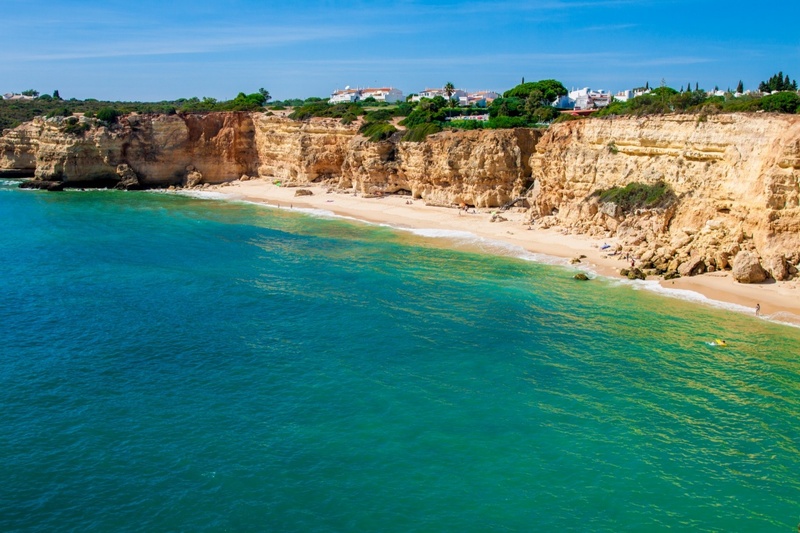 Praia da Rocha, meaning ‘Rock Beach’, is located in Western Algarve and is close to Portimao Marina. 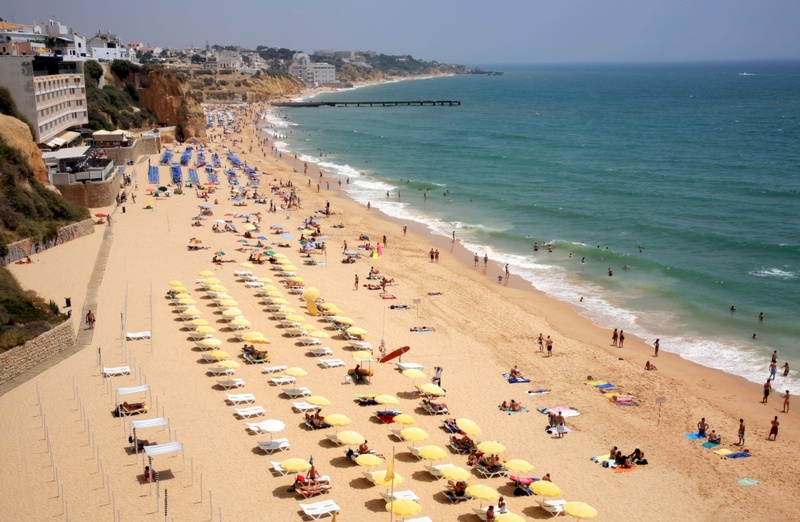 The stunning, golden beach can take a lot of people – not only is it wide, but Praia da Rocha also has a lot of length, with a wooden walkway going all the way across plus a selection of cute beach cafes and top-quality restaurants. These serve both Portuguese and international food and are open from early morning until late at night; perfect for breakfast and late-night snacks. This beach is great for those adventure-loving tourists; in the summer months, Praia da Rocha provides a selection of watersport options, from jet-skiing and paragliding to windsurfing and pedal boats for families or small groups of friends. For the football lovers, take note that the beach soccer tournament has taken place here every year since 2005. Situated in the heart of old town Albufeira, this beach provides convenience for many tourists, as its large size and central location makes it extremely easy to find. Like Praia da Rocha, the old town beach in Albufeira is long, wide and appeals to many tourists during high season. The old town beach is also known by the name of ‘Fisherman’s Beach’ which is ‘Praia dos Pescadores’ in Portuguese – try not to let the different names confuse you! There are no beach cafes, but on the street behind the beach are lots of top-quality restaurants providing a variety of cuisines; Mexican, Chinese, Japanese, Italian, English and Portuguese, among others. Take your pick! There are also pedalos available for hire during high season, and throughout most of the year, people can hire segways for around 15-20 Euros on the walkway just before you step on to the beach. This is a great opportunity for those holiday-makers who love to see the sights but aren’t big fans of being on their feet all day long. For sporty types, the Old Town beach has a beach volleyball net that is there throughout the majority of the year. Praia da Quarteira means ‘Quarteira Beach’. This is a long, sandy beach that runs virtually uninterrupted all the way to Faro, which is fairly close by to Quarteira. This beach is perfect for those tourists who wish to enjoy a spot of swimming in the ocean – the water is known to be very calm. Like most beaches in the Algarve, there is a pretty promenade located just behind the beach with a selection of cafes and restaurants that are perfect for beach-goers when they fancy a bite to eat. There is also parking available right next to the beach itself for those tourists who choose to hire a car whilst on holiday – but take note, during the busy summer months, arrive and park up early before all the parking spaces are snapped up! This beach is certainly one of the lesser-known Algarve beaches, due to its secluded location and special purpose of naturism. 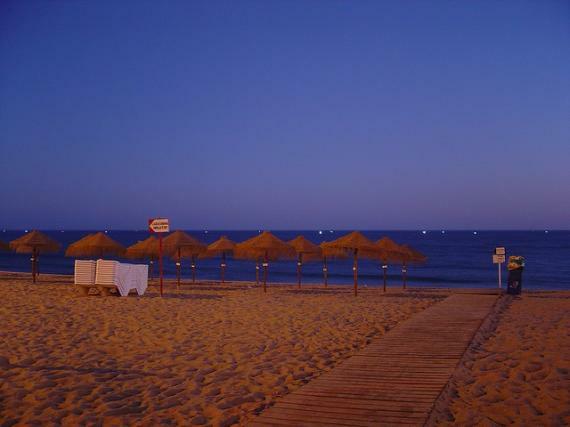 The beach is located in Eastern Algarve on the ‘Ilha de Tavira’ which can be translated to ‘Island of Tavira’. It can be reached via a short ferry crossing from Tavira, OR via a tourist train from Pedras D’El Rei, which is a little to the west of Tavira. The train then stops at Praia do Barril, and the naturist beach is just a little further to the western end of the island. 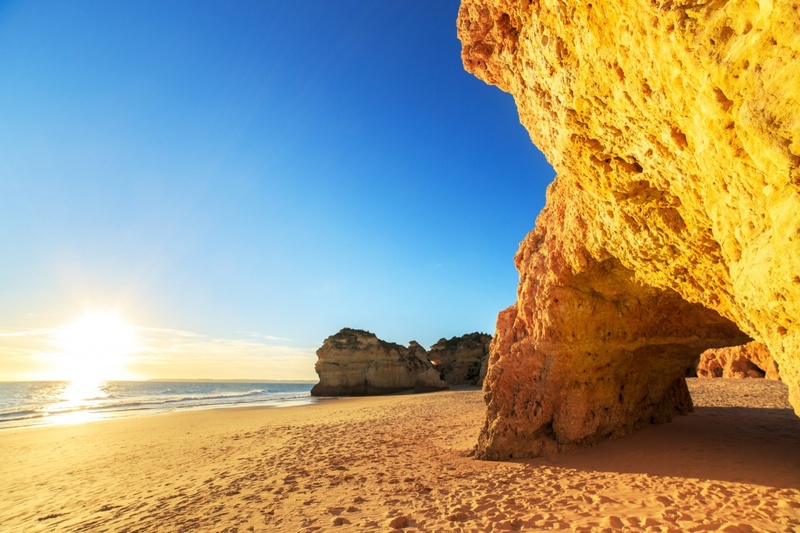 Because of its location, there are not as many facilities as the more well-known, centrally-located beaches in the Algarve, but if you are a naturist and are looking for a private, cut-off beach for this purpose, Praia do Homem Nu is the perfect beach for you. Just make sure you bring a packed lunch along!